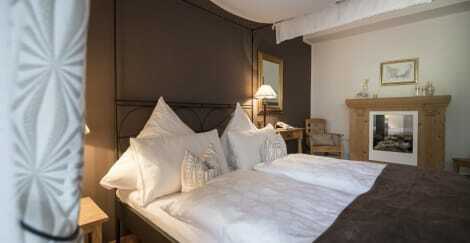 This charming hotel is situated in St Ulrich. The premises count with 40 welcoming guests rooms. This property does not accept pets. This charming hotel is set in St Ulrich. A total of 21 units are available for guests' convenience at Alpenhotel Rainell. Pets are not permitted on the premises. Enjoy Italian cuisine at Dolomiti Restaurant, one of the hotel's 2 restaurants, or stay in and take advantage of the room service (during limited hours). Snacks are also available at the 15 coffee shops/cafés. Quench your thirst with your favorite drink at the bar/lounge. A complimentary buffet breakfast is served daily from 7:30 AM to 11:00 AM. You can enjoy a meal at AYCE Blue Restaurant serving the guests of Chalet Hotel Hartmann – Adults Only, or stop in at the snack bar/deli. Quench your thirst with your favorite drink at the bar/lounge. A complimentary buffet breakfast is served daily from 8 AM to 10:30 AM. After a day on the slopes, enjoy recreational amenities including a health club and an indoor pool. This hotel also features complimentary wireless Internet access, ski storage, and tour/ticket assistance. The complimentary ski shuttle makes getting to the slopes a breeze. Grab a bite to eat at the hotel's restaurant, which features a bar and a garden view. You can also stay in and take advantage of the room service (during limited hours). Mingle with other guests at the complimentary reception, held daily. A complimentary buffet breakfast is served daily from 7:30 AM to 10 AM. After a day on the slopes, enjoy recreational amenities, which include an outdoor pool. This residence also features complimentary wireless Internet access, babysitting/childcare (surcharge), and ski storage. The complimentary ski shuttle makes getting to the slopes a breeze. 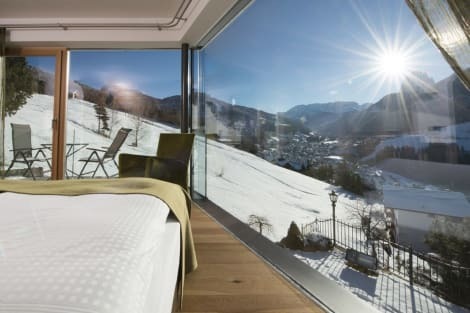 lastminute.com has a fantastic range of hotels in Ortisei, with everything from cheap hotels to luxurious five star accommodation available. We like to live up to our last minute name so remember you can book any one of our excellent Ortisei hotels up until midnight and stay the same night.